Yuzu kosho is a sour, spicy, fermented Japanese condiment made from yuzu zest and juice, salt, and chiles (usually green bird's eye or Thai chiles). It's commonly served with meat or fish—and David Park, chef at Hanbun in Westmont, has used it that way before. But when Joshua Marrelli of Bakersfield W00d-Fired Grill (also in Westmont) challenged him to create a dish with yuzu kosho, he wanted to push himself a little. The most challenging application, he thought, would be dessert. "Heat in dessert is not something everyone is comfortable with," he says. "I feel like it can be overpowering." The dish Park came up with is something he'd been thinking about for a while as part of Hanbun's seven-course tasting menu. (The restaurant is part of a food court and serves lunch a la carte daily, but a few evenings a week it also offers a fixed-price dinner at a single table in the tiny space.) He calls it a "pre-dessert"—something like a palate cleanser, served before the last course, but a little bigger. "The yuzu kosho elevated it," he says. "I guess I got lucky in the first trial." The final element was a granita made with omija (a fruit also called "five-flavor fruit"), honey, and, of course, yuzu kosho. "The omija really brings this whole dish together," Park says. "It helps balance the salt and spice, the tart flavor of the fruit." He garnished it with sorrel, Egyptian star flower, and dyanthis flowers, then sprayed the whole thing with yuzu juice. 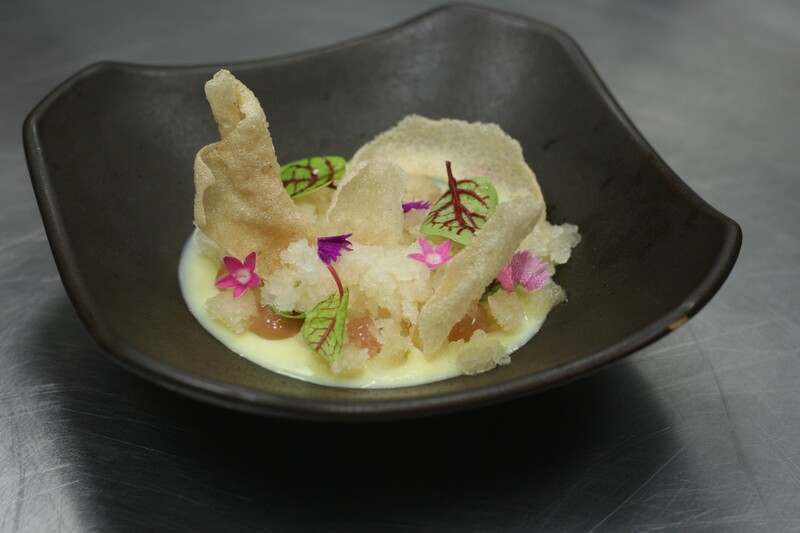 In preparing a “pre-dessert,” Hanbun chef David Park started with a white chocolate cremeux (a French custard) and then added yuzu kosho to every other element. "It's actually really cool, because you wouldn't expect the yuzu kosho to shine that much," he says. "The fat from the white chocolate coats your palate, the yuzu kosho leaves a tingling sensation at the back of your throat. You can feel there's heat, there's acidity, but it's not overwhelming." 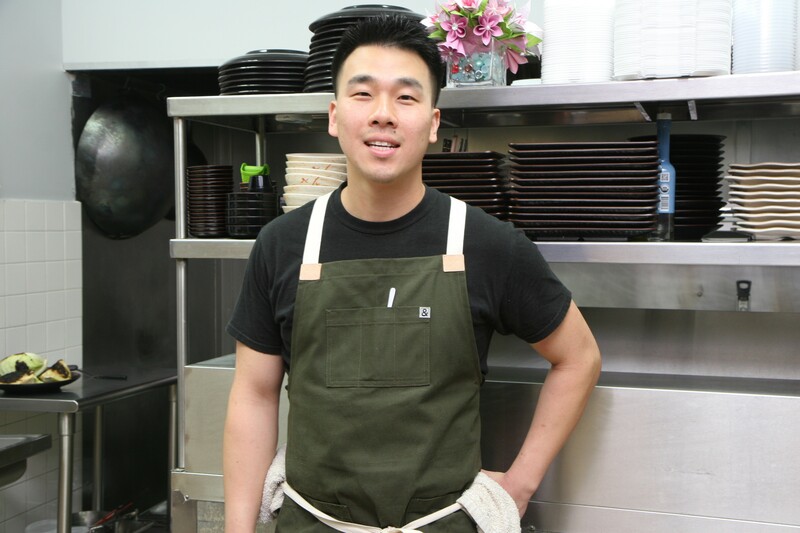 Park has challenged Kymberli DeLost, who runs the pastry programs at Acanto, the Gage, and the Dawson, to create a dish with chunjang, a Korean fermented black-bean paste. Challenged to make a dish with doenjang, DeLost combines her knowledge of Korean cooking and Italian desserts.